The Frederick Keys held the Salem Red Sox to just five hits on Wednesday afternoon en route to a 7-1 win that snapped a three-game Salem winning streak. Jarrett Miller was strong on the bump for the Keys, striking out six over five shutout frames. Miller (1-0) allowed three hits and walked three, but struck out the side with two runners to escape his biggest jam in the last of the fourth. Frederick hassled Trey Ball (1-2) for four runs on seven hits over five innings. The Keys struck first in the second when Trey Mancini led off with a triple. One batter latter, Tucker Nathans knocked him in with a groundout to shortstop to make it 1-0. The Keys added another in the third inning after Gregory Lorenzo reached on a hit-by-pitch to begin the frame. Adrian Marin knocked him in two batters later with a single up the middle, making the score 2-0 Frederick. Ball allowed two runs more in his outing, both coming in the fourth. Frederick put a pair on with a one-out walk to Anthony Hewitt followed by a Brenden Webb single. Both scored when Austin Wynns smacked a single up the middle to extend the lead to 4-0. The Sox best chance came in the fourth inning when Forrestt Allday led off with a walk followed by a Sam Travis single. With runners on first and second and nobody out, Miller responded by striking out the next three batters he faced, all on curveballs. The Keys extended their lead in the eighth on a two-run home run from Nathans to make it 6-0. In the ninth, Gregory Lorenzo’s groundout scored Wynns, who had led off the inning with a double, making it 7-0 Frederick. Mario Martinez launched a solo homer in the bottom of the ninth, his second of the year, for the only Red Sox run. 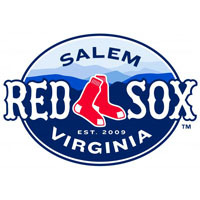 Salem fell back to .500 at 9-9 with the loss and Frederick improved to a Carolina League-leading 12-8 with the win. The series finale between the Red Sox and Keys takes place on Thursday night at LewisGale Field with first pitch at 7:05 p.m. It’s Thirsty Thursday at the park featuring discounted beverage specials. There will also be a season-ticket holder meet and greet before Salem’s Teddy Stankiewicz (0-3, 2.60) opposes Frederick’s Matt Taylor (0-0, 2.00).